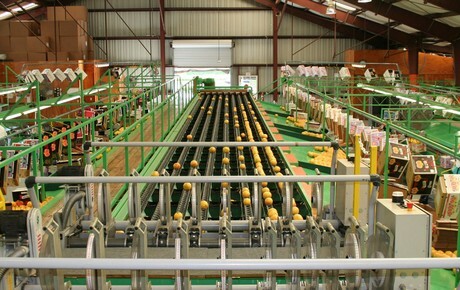 Grapefruit production in Florida is being helped along by favorable weather conditions. It all started before the season began with the absence of hurricanes bringing relief to growers who have been on the receiving end of them in the previous few years. Now during the harvest season, dry and cool conditions have dominated, which suppliers say has been of benefit to the fruit. "The weather in Florida has been favorable for grapefruit production," noted Dan Richey of Riverfront Packing Company in Vero Beach. "We didn't have any hurricanes before the harvest started, which is the first time in a while. It's a little dry at the moment and we could use some rain, but overall we have had very good weather." Richey added that the cooler weather has been very welcome and is helping to set a decent crop. "There has been enough cool weather which is good for the trees," he explained. "Firstly, it keeps them dormant and then when the weather warms, the trees put out a nice, uniform bloom. The second reason is that it helps to protect from any freezes. This is because the trees are less inclined to sustain any damage because the sap isn't flowing through them." At the mid-point of the season, supplies are steady. While not being overly abundant, growers say the crop is looking good. 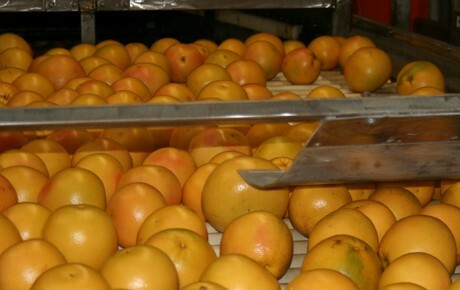 According to some suppliers, the USDA has overstated the volume that Florida will produce this year, although it's acknowledged that this is a difficult task given the challenges associated with citrus greening. "The USDA crop estimate is up over last year, which was a hurricane-affected year," Richey observed. "We think there is less volume out there than the USDA has predicted, but still a good, adequate crop." When it comes to exports, suppliers have noted that things are going well here too. 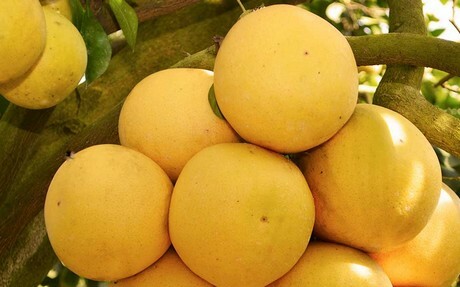 Markets in Asia and Europe are reportedly very receptive of Florida grapefruit. "Supplies on all our varieties are good and demand is matching up well with our current crop," Richey noted. "As a result, we are seeing good market acceptance in Korea, Japan and Europe." He explained this further by describing the preferred varieties of each market. "The Korean market typically prefers Star Ruby, with the Japanese market liking the red and white grapefruit. France and the UK are more traditional in the sense that these markets typically prefer Ruby Red, while the rest of Europe in places like Poland, the Netherlands and Belgium prefer the dark red grapefruit the most." Demand is such that much of the promotional efforts in the export market are concentrated on education, rather than selling. "We do some promotional work in Asia and Europe but it's mainly PR," Richey said. "We probably couldn't meet the demand if we were to advertise outright." Citrus greening is a serious problem for the Florida citrus industry and has been responsible for a general decline in citrus volume in recent years. However, growers are very confident that citrus will remain a vital part of the state. "Florida really is an excellent place to grow grapefruit because of its location and subtropical climate," Richey shared. "We are confident we will overcome the challenges from greening and have a successful and sustainable citrus industry moving forward."